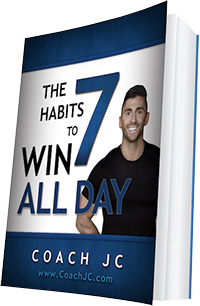 Today’s WINNING recipe to meet Coach JC’s 10 WINNING Habits is Greek Bruschetta. Where are my veggies? Have I earned my starchy carbs? Preheat oven to 425 degrees. Rub garlic clove on both sides of each slice of bread. Brush both sides with olive oil and arrange slices in a single layer on a large, rimmed baking sheet. Bake the sliced bread until just slightly golden brown, about 5 – 8 minutes. Set aside. 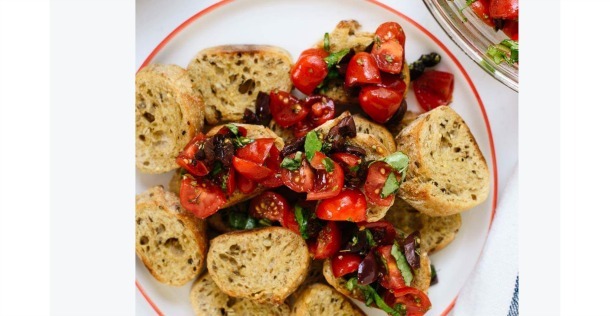 In a medium serving bowl, combine all of the bruschetta ingredients. Toss to coat, then adjust seasonings as needed. Serve the toasted bread with the tomato topping on the side.